Offered with a Spectacular Lakeview, this 4 BR / 3 BA Cedar Duplex Townhome is designed in Pocono Beauty. 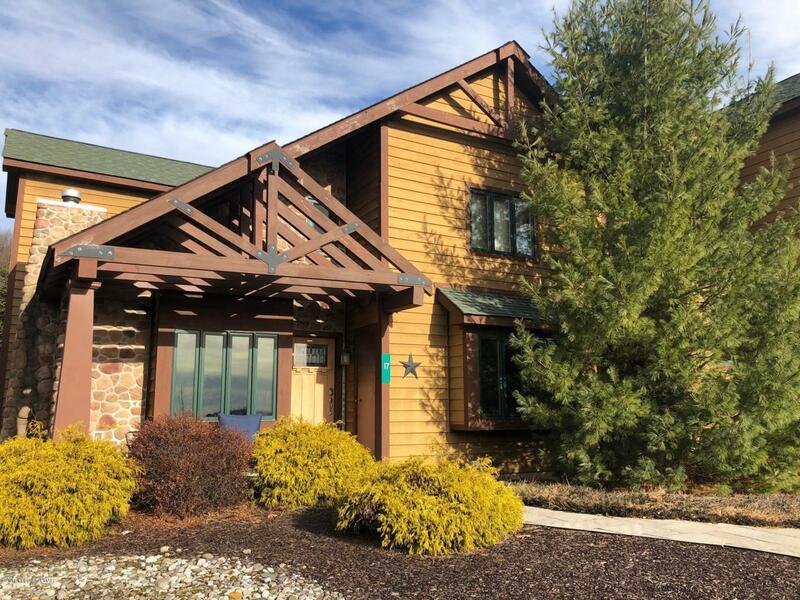 This Adirondack Cedar & Stone 2-story includes full furnishings, kayaks and hot tub on back deck for relaxation after a day on the slopes or river rafting. Upgrades include Granite floor for fireplace to granite in kitchen and baths. This Rental offers winter bookings already in place for you to pick and choose acceptance of. Welcome to the Pocono's! Come enjoy Lake Harmony and the Big2 JF/BB ! This resort does offer Boat Docks for Electric Engines on 200 acre Lake as well as Beach and Pool enjoyment with Tennis Courts and Playground too!